The remake of the beloved action movie series, Tomb Raider, delivered a great mix of action, myth and suspense while interweaving some pretty advanced Estate Planning concepts that we deal with every day. 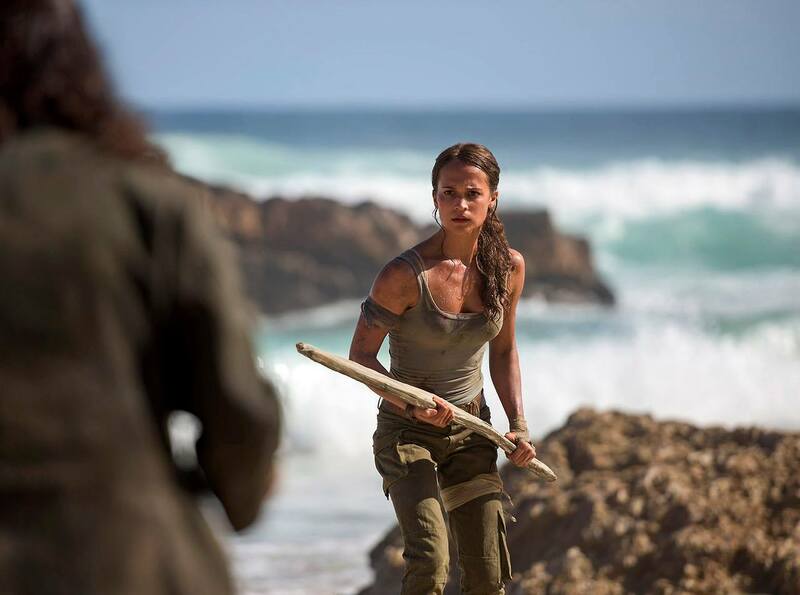 Playing in theaters worldwide, the film begins with Lara Croft, played by Alicia Vikander, struggling with her father’s absence and possible death. Lara’s life, like many of today’s youth, seemed to lack a clear direction until she was put in a board room to review her father’s Last Will and Testament and was made to come to grips with his death. This brings up an interesting question: When someone goes missing, how long is it until he/she is presumed dead? The Connecticut General Statutes Sec., 45a-446 gives us some indication as to how a Connecticut Court would handle the situation. Sec. 45a-446. Distribution when heir, legatee or distributee is presumed to be dead. Liability of fiduciary. (a) If, at any hearing before a court of probate on an application for an order for the distribution of the estate or for the payment of legacies provided for in the will of a deceased person whose estate is in process of settlement in the court, it is found by the court that any person who if living would be an heir at law of such decedent, or a legatee or distributee under such will, has been absent from his home and unheard of for a period of seven years or more next prior to the date of the death of the decedent and until the date of such hearing, the court shall find as a presumptive fact that such person died prior to the death of the decedent whose estate is in settlement, and shall order such distribution of the estate or payment of such legacies as would have been made if such person was known to have died prior to the death of the decedent whose estate is in settlement. In Connecticut, Lara would have had to wait 7 years to file in probate to close her father’s estate. At that point, assuming no one had heard from him, there would be a presumption that he is deceased. In the case of Tomb Raider, there ended up being more to Lara’s father’s situation than meets the eye. Let’s just say there is a bittersweet reunion in the movie, and Lara has her father’s Last Will and Testament to thank for that. Estate Planning plays a big role, especially in the lives of the loved ones left behind. If you think your loved one has gone missing, or if you are struggling with any situation or following the death of a close family member, contact Wiley Etter, LLC, and we will help you navigate through this tricky process. This week Season 7 Episode 2 of Game of Thrones aired, titled Stormborn. As you may know by now, everyone in our firm is a huge fan of Game of Thrones. As the plot thickens, we cannot help but consider the #Legacy planning we do every day and think about how these skills could be applied to Westeros. One of the most important things we do is protect your loved ones from Predators. Predators are people that influence your heirs to ultimately rob them of their wealth, freedom, and individuality. There is no doubt Game of Thrones is full of Predators. Sometimes we wonder if creating a Guardian Angel Trust (our signature Asset Protection Trust) could save the young Lords and Ladies from being taken advantage of. Below, we outline a few of the biggest Predators in Game of Thrones… which character do you want influencing your children? Petyr Baelish – Petyr, also known as Littlefinger, is the consummate Predator in the show. Littlefinger is shifty, deceitful, and cunning. He is known for his financial acumen and has built an empire of brothels, allowing him to carefully climb the social ladder. Petyr continually lingers on the sidelines while making sure he stays close to the people of power. Littlefinger has shown his manipulation by being able to convince Jon Arryn’s widow, Lysa Tully, to marry him. This move ultimately gave him considerable influence over young Robin Arryn’s lordship. Littlefinger has effectively risen to be “puppet master” of the Vale. Now, Littlefinger has his sights on Sansa Stark. What’s next on Littlefinger’s agenda? Only time will tell. One thing is true, you surely would not want your children to be subject to such a cunning Predator! Euron Greyjoy – Euron is the classic banished uncle who returns to usurp the throne and steal your children’s wealth. After a long outcast from the Iron Isles, Euron Greyjoy returns home to murder his brother and put the kingdom’s heir-ship in jeopardy. He does this just in time to make a claim above that of the rightful heirs, Theon Greyjoy or Yara Greyjoy. The end of this episode surely shows that some of the biggest threats to your legacy can be family. Sometimes you need to be cautious of family influencing your children – or in this case – stabbing you and them in the back! Cersei Lannister – Believe it or not, one of the most common types of Predators can be your children’s own mother. We affectionately refer to this as “Baby-Mama-Drama.” Whatever your reasons for not trusting the mother (or father) of your children, you may want to make sure that your children are protected from these negative influences in the future. Would you rather have the unpredictable and sinister Cersei Lannister look over your children, or the noble and trustworthy Lord Ned Stark? Many of us would choose to trust Lord Ned Stark to guide and raise our children as opposed to Cersei Lannister. As we all know, Robert Baratheon attempted to choose Lord Ned Stark to watch over his children in Season 1. This ultimately led to both of their deaths. If Robert had planned more effectively using our Guardian Angel Trust, this probably would have been avoided. What language would you place in a Guardian Angel Trust to prepare your children for the Predators that lurk after death? We invite you to protect your Legacy! Click here to learn how. This week Season 7 Episode 1 of Game of Thrones aired, titled Dragonstone. This episode draws an interesting comparison of the three main characters’ legacies. #Stark– First, we are introduced to the King of the North, Jon Snow of Family Stark. We find him in Winterfell, his ancestral home, with a tomb full of several generations of his family. The Stark line has stood guard of the North for hundreds of years defying countless harsh winters. This family has shown a tremendous amount of ability to overcome adversity, and still their dynasty stands ready to take on the next generation. This family’s legacy, of honor and respect has been passed down from generation to generation remaining as united and strong as Winterfell’s castle walls. Even losing countless heirs could not shatter this family’s plan. #Lannister – Second, we consider the Lannisters. After a lifetime of planning, scheming, and ladder-climbing Cersei finds herself Queen of the Seven err… Three Kingdoms. She has devoted her entire life to reach this important apex, but upon arriving, she questions whether it was worth it. All the wealth in the world, but no family to share it with. All of her dreams accomplished, yet the price of the climb has left her alone. What is her incentive to keep on working? Regardless of how high she climbs, there is no one to share her accomplishments. Cersei must decide what cause, ideal, or memory to transfer her legacy. #Targaryen – Finally, Daenerys reaches her family’s ancestral home, Dragonstone. She finds her family’s legacy in ruins, abandoned with no family to support her. Years of the Mad King’s decadence and recklessness destroyed the once great Targaryen Legacy. Throughout the many seasons of Game of Thrones, there is no doubt that Daenerys is determined to create her own Legacy. However, now on the tarnished steps of her once great family, she is left with nothing but a drive and determination to build her own empire. She must plan carefully to ensure that her Legacy carries on and thrives! At Wiley Etter we can help you plan regardless of which family you closely associate with. Whether your family is #Stark and you just need a review of your current plan, #Lannister needing to come up with a “Plan B”, or #Targaryen and you are laying the foundation for a dynasty that could grow for a 100 years. At Wiley Etter we help you build, grow, and protect your #Legacy. LLC or Sole Proprietorship? Key Considerations for the Small Business Owner. If sole proprietorship is sued by a customer, courts can look to your personal assets (e.g. your home, bank accounts, etc.) to satisfy a judgment against your business. By choosing to operate as an LLC, and observe certain corporate formalities, the court cannot look to your personal assets to satisfy the judgment. Further, if your sole proprietorship is bankrupt, creditors may look to your personal assets to satisfy the debts of the sole proprietorship. The members of an LLC are only liable for the debts and obligations of the LLC, meaning your personal assets cannot be reached by creditors of your business. As a sole proprietor, there is no distinction between the business and personal aspects of your life. Say you’re involved in an accident and sued personally. A court can look to your business assets to satisfy the judgment against you. A sole proprietorship is taxed at the same rate as an LLC, but without protecting the owner’s personal assets. Alternatively, an LLC may choose how it will be treated for tax purposes. For instance, an LLC may opt to be taxed as a sole proprietorship, corporation or partnership. Your business name must be distinguishable from any other existing business’ name. Because sole proprietorships are not registered with the state in which they’re operating, there is nothing stopping another business from starting and operating under the name of your business. In fact, if you later decide to register your business as an LLC and the name has been taken, you’re prohibited from using that name. The life of an LLC starts upon registration with the Secretary of State, and ends only upon dissolution of the entity with the Secretary of State. Your ownership interest in your LLC is fully transferable, descendible and devisable. A sole proprietorship lives and dies with its owner, making business succession impossible. Selecting the proper structure for your business can maximize your opportunities for success, but can be a challenge to navigate on your own. At Wiley Etter, LLC our attorneys are experienced in the creation and incorporation of new businesses, protecting businesses from legal pitfalls and developing creative solutions to common legal issues. Contact us today for a free 1-hour consultation.